Product #21892 | SKU PL2T | 0.0 (no ratings yet) Thanks for your rating! The Heil Sound PL2T Boom Mount is a professional articulating, broadcast studio microphone mount that features perfectly balanced springs for quiet, reliable microphone positioning. The two sections feature a hollow channel with removable panels for threading the microphone cable along the spine of the boom. 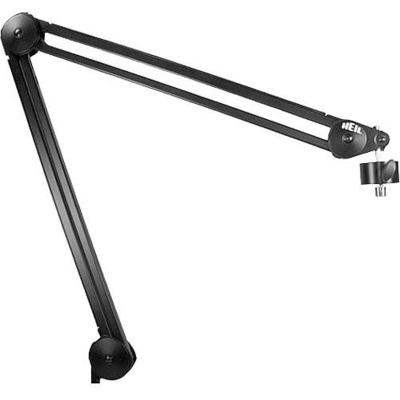 The PL2T easily handles microphones weighing up to 3.5 lb (1.6 kg), includes a C clamp mount that will easily mount surfaces up to 1.5" thick, and features a 5/8"-27 thread stud for microphone shock mounts.